Posted byanglohindu	 30/05/2011 30/05/2011 2 Comments on Puri recipe anyone? “Recipes. That’s not Hinduism” you say. No but I like food too and besides Hinduism and food really do go hand in hand. Anyway, this is a recipe I really like for Puris. Yep, its not a complicated recipe but I also love bread. I bake my own at times. What sold me on this recipe was that they are so incredible, fresh from the pan. 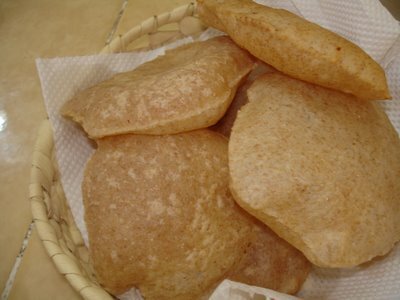 I’ve eaten a lot of pooris but they tend to cold and stuck together. You owe it to yourself to eat them in their puffy best form. Ghee or vegetable oil for deep-frying. 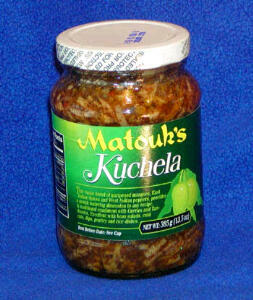 In a karhai, wok or saucepan, put the ghee or oil over medium-high heat. Meanwhile, smear a few drops of ghee on the rolling surface (don’t use flour- it burns and discolors the ghee), shape the dough into 16 patties, and roll them all out thin and even. When the oil or ghee begins to smoke, lower the heat to medium. Lay a puri on the surface of the ghee, being careful not to burn your fingers. The puri will sink for a second, then rise to the surface and sputter. Immediately submerge it with soft swift pushes, using the back of a slotted spoon, until it inflates like a balloon. Flip the puri. Fry the other side for a few seconds; then remove the puri from the ghee and and stand it on the edge of a colander to drain. (when your skill increases, try frying several puris at a time.) Cook all the puris the same way. Serve hot puris with any meal or as a snack spread with applesauce, honey, jam or fresh cheese. Follow the instructions to the letter and you’ll soon be eating wonderful puris. The words in bold are mine to aid clarity. As I said before pooris go best with a wettish indian dish or some kind of pickle or chutney I like mango chutney or even Kuchela if you can find it. 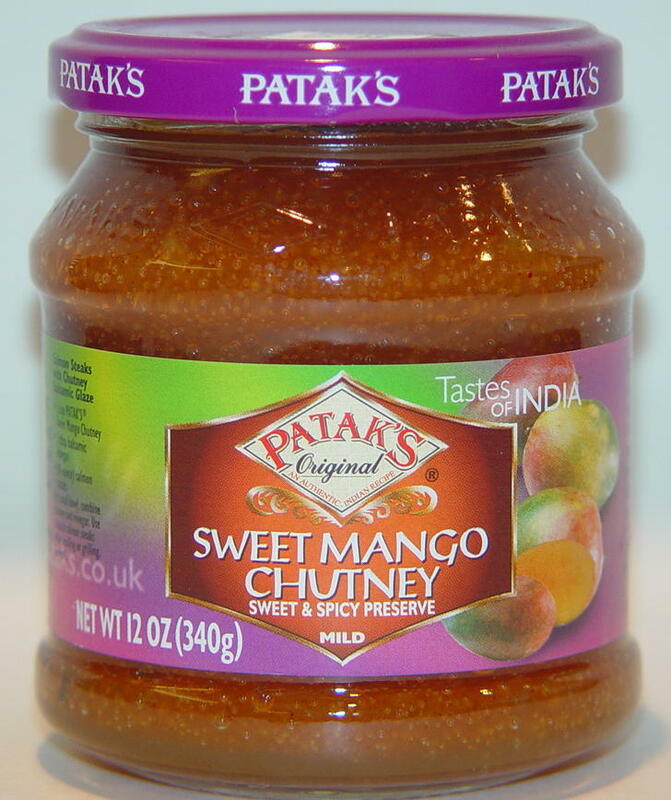 I bet this would go great with matar paneer.